OK, they're not EXACTLY twins, but it's close enough. He's more like Grumpy Cat's gently disapproving younger brother, and I need him. You need him. We all need him! This beautiful blue-eyed 7 to 8 month old boy is Spades. He's a kind kitten, who's a bit timid, but all he needs is a loving home. 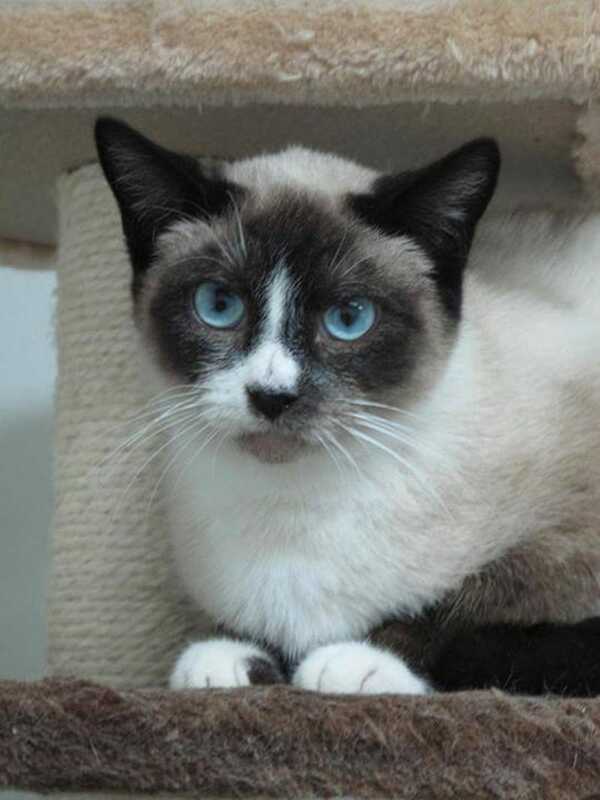 Please consider making this pure bred Siamese beauty a part of your family. Yes, I am considering it. My two dogs and one boyfriend don't know it, but I am. Then I'm gonna breed him with Grumpy Cat and my army of evil felines will take over the world. Let's do this.